Security Benefits of Soft-Lite Windows – New Jersey Siding & Windows, Inc.
Soft-Lite replacement windows are some of the most energy-efficient, durable and stylish windows on the market today. Besides their strength and beauty, new windows manufactured by Soft-Lite offer exceptional security. Since 1934, Soft-Lite has been manufacturing state-of-the-art windows. 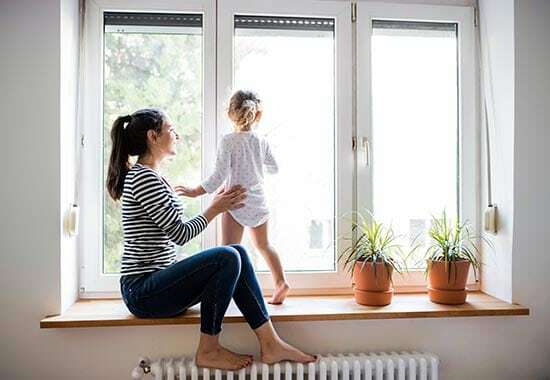 Today’s concerns of rising energy costs, security issues and other factors have informed Soft-Lite’s manufacturing technology, which is constantly being improved to ensure their windows measure up to the demands of the modern homeowner. In 2014, Soft-Lite was selected by the National Crime Prevention Council (NCPC) to be their exclusive window manufacturing partner, helping educate homeowners about window and door security. Heavy-Duty Locking Hardware: Available on sliding windows, Soft-Lite’s secure locking hardware provides superior safety and security. Single Lever Lock: Casement and awning windows from Soft-Lite feature single lever locks, which activate multiple locking points for exceptional security and energy efficiency. Recessed Locking Hardware: Most Soft-Lite windows come standard with a low-profile lock that offers enhanced beauty, excellent strength and intruder-resistant security. K-Beam™ Thermal Reinforcement with DuPont™ Kevlar®: Delivering maximum strength and durability, this optional feature utilizes Kevlar® fibers – found in bullet-proof vests, jet engine shields and helmets – to deliver ultimate impact resistance. Fusion-Welded Seams: Soft-Lite window sashes and frames are built to be strong and durable, helping to prevent break-ins. If security is at the top of your new window must-haves list, contact New Jersey Siding & Windows, Inc. to ask about our selection of Soft-Lite windows and schedule your free estimate.